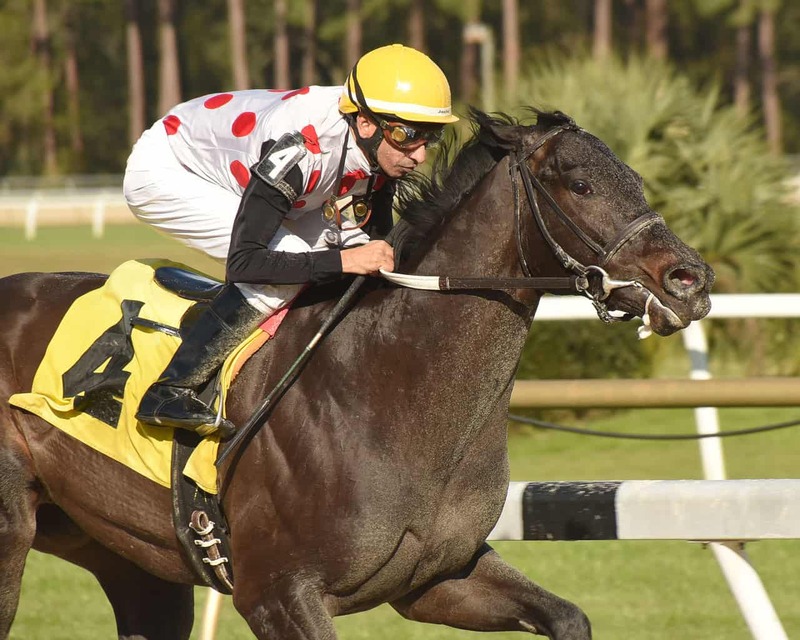 TAMPA, FL – Live Oak Plantation’s homebred Win Win Win lived up to his namesake in eye-popping fashion on Saturday, overcoming a slow start to completely decimate his foes in the $125,000 Pasco Stakes at Tampa Bay Downs. Breaking a step slowly from post 4 under Julian Pimentel as the second choice at 8/5 odds, Win Win Win found himself trailing early. Meanwhile, Gladiator King, who had broken through his gate prematurely and run off for almost a 1/4-mile before being corraled and returned to the gate, was still keyed up enough to lead through opening fractions of :22.10 and :44.52. Gladiator King ran out of gas straightening for home, but Pimentel had Win Win Win geared up and making an impressive four-wide run through the turn before easily taking command at the top of the stretch. Running away with extreme prejudice, the Michael Trombetta trainee crossed with a 7 1/4-length lead in a track record final time of 1:20.89 for the 7-furlong sprint over the fast main track. Though never a threat to the winner, Overdeliver overcame bobbling at the break to take second, well clear of the 7/5 favorite Cave Run in third. War Bridle took fourth, while Gladiator King faded steadily in the stretch to finish fifth and complete the order of finish. Jackson and Zenden were scratched. 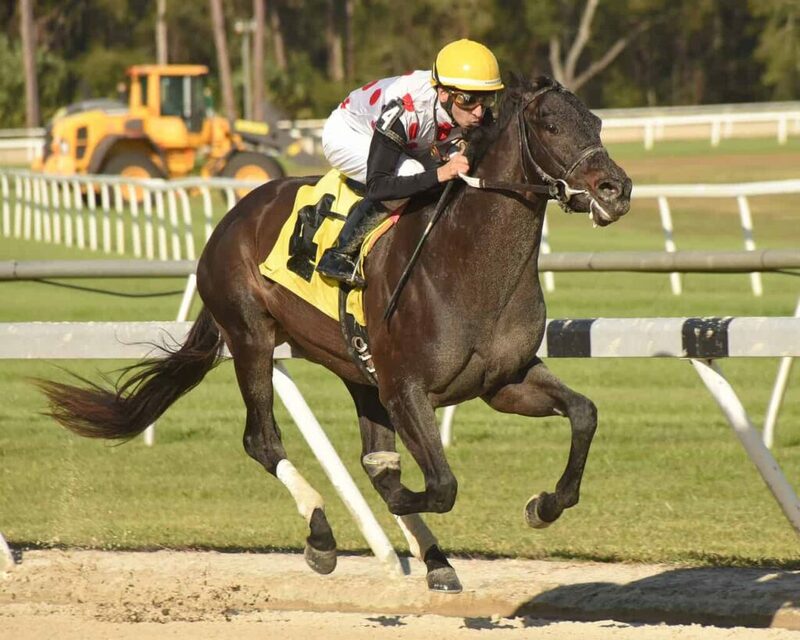 Win Win Win’s victory was his first in a stakes event following a close second last out in the $100,000 Heft Stakes at Laurel Park on December 29. The 3-year-old son of Hat Trick now sports a record of 4-3-1-0 with $127,300 in earnings. Win Win Win returned $5.20 to win, $2.60 to place, and $2.10 to show. Overdeliver brought back $3.40 to place and $2.20 to show, while Cave Run paid $2.10 to show.